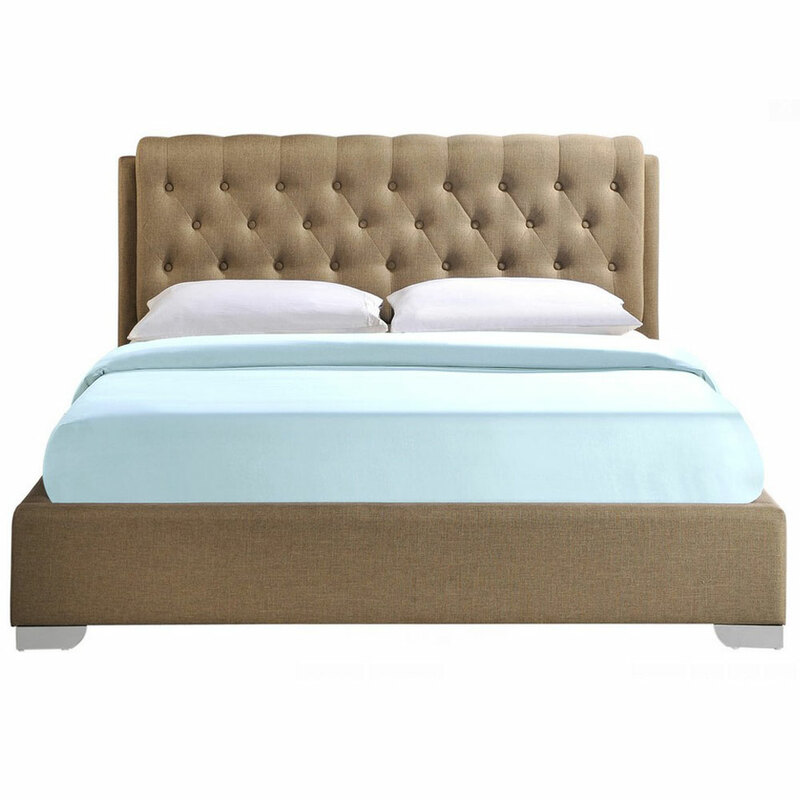 This perfectly designed Amelia tufted brown bed, procured with frame and style that work an optimum manner and will according to your convenience. 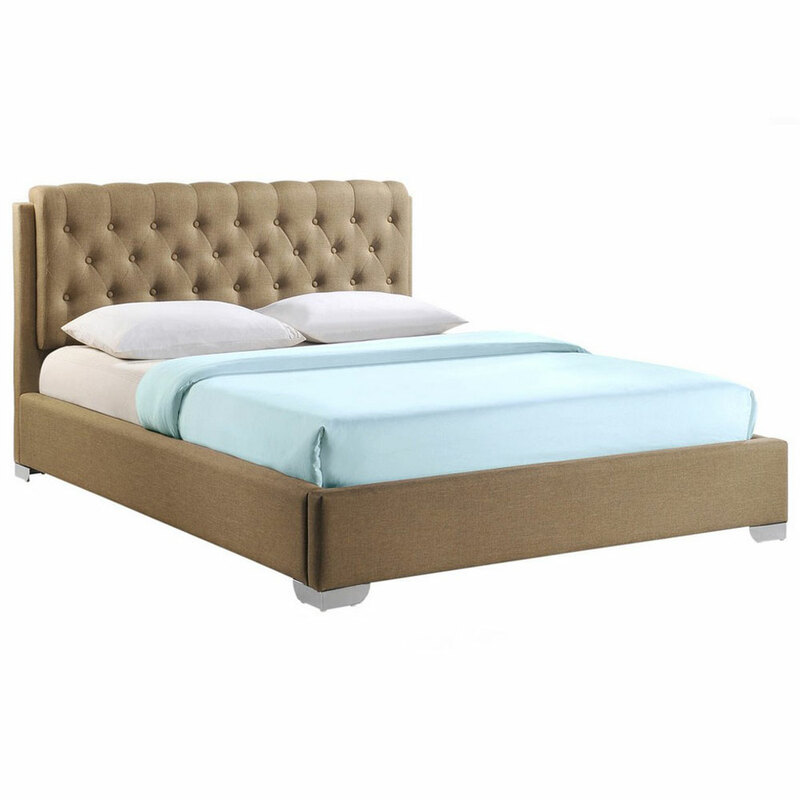 Perfect upholstered tufted back and stainless steel legs, this will classify your area in a perfect way. It possesses a designing that will be an ideal for you from every aspect. 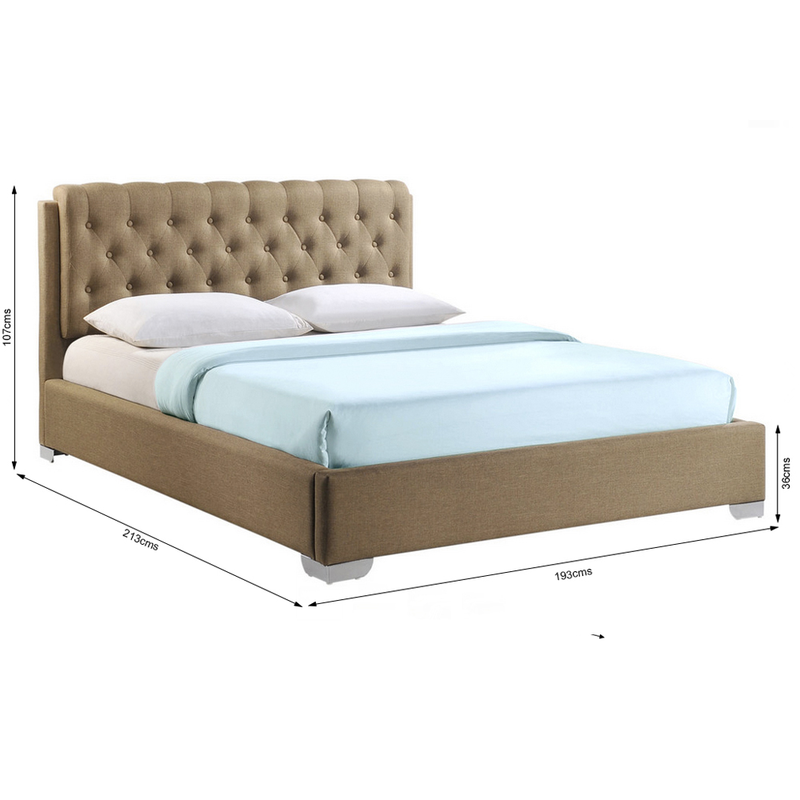 Here we had made this Amelia tufted brown bed design available for you in two different sizes that are king size and queen size. 10. Dimensions can vary ± 5 cms - 10 cms as the products are handed made.